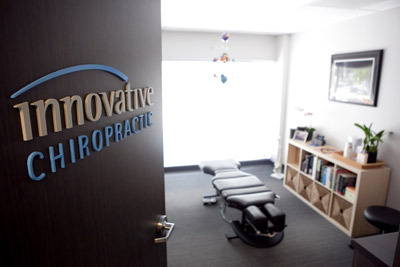 Welcome to Innovative Chiropractic where you can begin your healing journey in our friendly and comfortable environment. Our practice is anything but stuffy; you won’t feel like you’re in a medical office complete with old-school anatomy pictures. We are a modern practice that takes a forward-thinking approach to getting patients better. This visit takes about an hour. At this visit, Dr. Casey will discuss how everything is feeling and if anything new popped up. He’ll do a quick update. “If nothing’s changed and everything is better that tells us we’re on the right track.” You’ll then do some exercises, and if they go well, Dr. Casey will improve them and give you a little more to do at home. “The quicker we can do active patient care the faster we can get patients moving, exercising and strengthening. As a result, we’ll get better clinical outcomes.” Your second visit and subsequent appointments will take about 30 minutes. During your regular visits, we’ll find out if your condition is improving or not improving. If something new arises we have that full 30 minutes to do a mini exam, then get a working diagnosis and treatment plan. We want to accommodate patients by building in added time, so they don’t have to come to the office for an additional exam. Start feeling your best with natural, noninvasive chiropractic care. Contact us today to schedule an appointment or free consultation. We’re open late for your convenience!